Commercial Driver Jobs | CDL Driver Staffing Agency Forth Worth TX | Platinum Drivers Inc. Platinum Drivers provides commercial driving services for companies and a wide array of commercial driving positions for drivers. We have CDL Driver jobs in Fort Worth for both class A and class B drivers that want to work on their own schedule. From businesses that need to fill commercial driving positions on short notice, we can help you find reliable, professional drivers. We specialize in driving jobs and we work with businesses and drivers throughout the nation, including Louisiana, Florida, Georgia, Oklahoma and Texas. We make it easy to fill openings in your staff and we help class A and class B drivers find work to fill up their schedule. 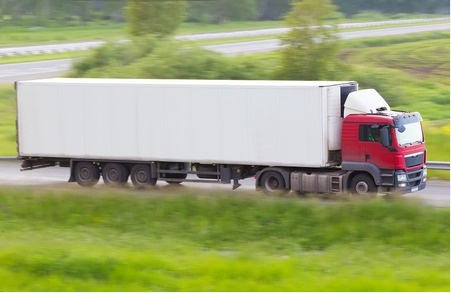 With an organized system and individual support for clients and drivers, we streamline the system and connect great businesses with skilled commercial truck drivers. If you are a truck driver, delivery driver, OTR truck driver, P & D drivers, yard driver or you have experienced with other positions, we can help you find the jobs you are looking for. We have a variety of openings available right now for candidates with your skills. With many different jobs available, you don’t have to take work that brings you away from your family, but you can still keep your schedule full. You can be home daily while maintaining consistent, reliable work on your own schedule. Select jobs that work well with your schedule and your needs, from local to regional truck driving jobs. The positions available include flatbed jobs, dry van jobs, line haul truck driving jobs and other CDL jobs in Fort Worth, Texas. If you need additional certifications or you would like to extend your class A or class B driver licenses, we can help you do it. Build a new career in commercial driving and find the jobs you need right away to keep your schedule full, or continue an already successful career and minimize downtime between jobs. We specialize in commercial driving positions and we make the process as easy and simple as possible for both businesses and drivers. Our clients trust us to find safe, efficient and reliable drivers when they have openings available. For companies that are expanding and need to supplement their staff, or for businesses that are downsizing and want to outsource transportation needs, we provide an important third-party service to find truck drivers quickly. We secure certifications and licenses of all our drivers, check backgrounds and make sure that all applicants are suitable for each position. You can trust your drivers have all the experience and skills necessary to complete the job, and you don’t have to waste time searching for the right people and then fact-checking their credentials. We take care of that for you so your shipments are not delayed by a lack of skilled workers. Our drivers are ready to work and can fill open positions quickly, whether for a short trip or an extended period. We strive to make the process easy for businesses and drivers alike. We understand the need to keep your work schedule full while also balancing your family and personal life. Commercial drivers don’t have to apply and reapply to different companies, but keep all information in one place and apply for positions locally. You can spend less time job hunting and more time on the road, and also with your family and friends. Your skills are in demand right now, and you don’t have to hunt for work. We bring the work to you so you can decide what positions are right for you. Take on as much or as little work as you like and conduct short or long trips as needed. With no commitments or obligation, you can be free to move and work as you like. Once you have completed a job, we can place you with another company and another position that also suits your needs. If you gain other skills or you would like to change the jobs you are doing, we can accommodate you. Our commitment to our drivers and to our businesses helps to make the ideal partnership. We eliminate the space and the search for businesses and drivers and clear the road to make commercial driving and quick transportation easy. Our first responsibility is to our customers, both businesses and drivers. To our businesses, safety, security, and efficiency is paramount. From the shortest local trips to long-distance travel across the country, we take every precaution to ensure each trip goes smoothly. For our drivers, we want to give you the opportunity to excel and expand your career, whether you have been working for years or you have just started. Fill out an online application to get started and we will match you with the CDL driver jobs in Forth Worth you are looking for. If you are a business in need of professional drivers locally, regionally or nationally, contact us.